Well we are on the road again and heading to the National Ploughing Championships in New Ross next week. If you are there be sure to drop by. We are at stall number 524, Row Q, Block1. 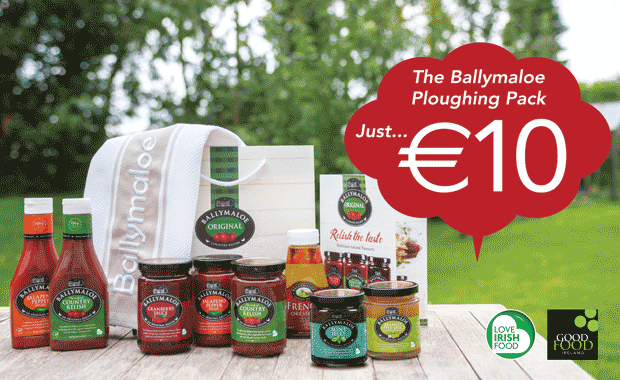 We will have all our delicious samples to taste and an exclusive Ploughing Pack to buy containing a choice of any 3 Ballymaloe products, a recipe booklet and luxury Ulster Weavers tea-towel for only €10. Hope to see you there!